If you, or someone you know, is at least 55 years of age or over and experiencing vision loss or a combined vision and hearing loss? Project Independence can help. Georgia’s ADRCs serve older individuals, individuals with disabilities of all ages, families, caregivers and professionals. Georgia’s ADRC currently serves all of the 159 counties across the state. For more information or to receive assistance contact an ADRC near you. 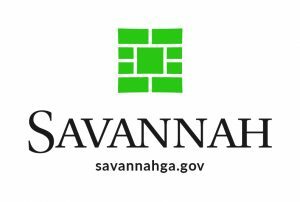 The SILC of Georgia is a nonprofit, nongovernmental consumer-controlled organization that plays the vital role of providing disability information and technical assistance to a network of nine Centers for Independent Living located throughout the state. Serves: Georgia except for counties served by the subregional library in Bainbridge; braille readers receive service from Utah. The Center for Financial Independence & Innovation, Inc. (CFII) is a nonprofit organization dedicated to helping individuals with disabilities and their family members advance their financial independence and security. Tool for Life/CFII provides a host of financial resources including the Credit-Able loan guarantee program and the new individual development accounts initiative, which may be of assistance in purchasing assistive technology and other items. FODAC provides home health equipment (mobility and daily living) to people of any age or any disability, temporary or permanent, for medically necessary and medically helpful reasons. Items are provided for a suggested donation. Clients do not have to qualify financially, but the waiting lists place a priority on medically necessary and low income individuals. Founded in 1920 by William Hadley and Dr. E.V.L. Brown, Hadley offers courses free of charge to its blind and visually impaired students and their families, and affordable tuition to blindness professionals. Today, Hadley is the largest provider of distance education for people who are blind or visually impaired around the world, serving more than 10,000 students annually in all 50 states and in 100 countries. Hadley is also the largest educator of braille worldwide. A 501(c)(3) non-profit corporation, the school relies on contributions from individuals, foundations and corporations to fund its programs. Established in 1989, GCDHH is a statewide nonprofit organization that provides a variety of assistive services to the deaf, hard of hearing, late deafened, deaf-blind, their family members, friends, and those with whom they interact. In addition to the main office in Decatur, satellite offices are operated in Columbus and Savannah, GA.